Digging Tools There is 1 product. 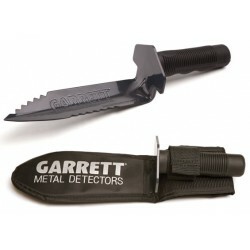 Garrett Edge Digger PN: 1626200 (7.5" digging blade; 12" total length) Strong carbon steel blade with cutting edge teeth. Non-slip blade guard with comfortable rubber handle. Includes Garrett carry sheath for belt mount use.